Benzoyl peroxide is one of the most frequently used over-the-counter acne treatment medications. It is the active ingredient in products such as Clearasil and Proactiv and is found in many prescription acne medications as well. One of the first proven treatments for acne, benzoyl peroxide has been used for decades and is still one of the most popular and successful treatments for acne. Benzoyl peroxide is generally an inexpensive treatment and the generic products typically work just like the name brands do. This is often the first treatment choice for those suffering from mild to moderate acne. Propionibacteria acnes, or P. acnes, are the bacteria responsible for acne breakouts. They cannot live in an aerobic (oxygen-rich) environment. Benzoyl peroxide works by introducing oxygen into the pore, thereby killing P. acnes. When the bacteria population is reduced, the number of breakouts on the skin is reduced as well. Another factor that makes this treatment so effective is its ability to help rid the follicle of excess dead skin cells. Clearing the pore of cellular debris will lessen the chance of pore blockages or comedones. So, benzoyl peroxide helps prevent breakouts before they start. Even after acne clears up, patients will probably still have to continue treatment, so those pesky bacteria don't increase and cause the acne to come back. So it's wise to consider benzoyl peroxide as a long-term treatment. This isn't unique to benzoyl peroxide. The vast majority of acne treatments are used long-term, with the exception of isotretinoin (Accutane). Benzoyl peroxide makes an effective treatment for mild to moderate acne. Start with a lotion or gel in a 2.5 percent strength. Higher percentages are available but may irritate the skin. Start with a lower strength to allow your skin to become acclimated to the treatment. Move up to a higher strength if results are not seen after several weeks. 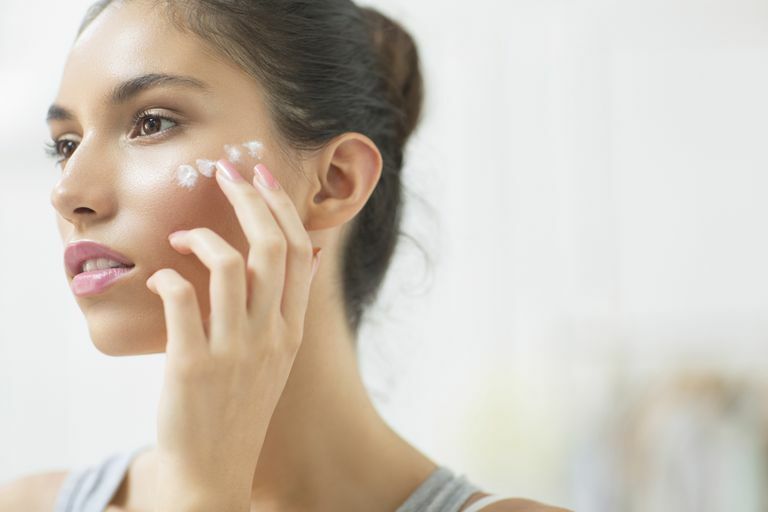 Most common treatment methods call for a thin layer of benzoyl peroxide lotion to be applied over thoroughly cleansed and dried skin once or twice daily. Apply thoroughly to all areas affected by acne, don't just use as a spot treatment. Benzoyl peroxide must be applied to all affected areas of the skin, as it works to stop pimples before they erupt. Benzoyl peroxide may bleach hair, towels, and clothing, so take great care during and after application to avoid letting it come in contact with any of these materials. You may want to wear an old shirt if the medication is applied to the back or body. Let the lotion dry thoroughly after your nightly skin care treatments before getting into bed, to avoid bleaching your pillowcase. The most common side effects of benzoyl peroxide are dryness and flaking. They are generally mild and can be reduced by using an oil-free moisturizing lotion daily. Other side effects include excessive dryness and flaking, redness, and burning. You can reduce the chances of experiencing side effects by following all directions on the product package, or those given to you by your dermatologist. If unwanted side effects occur, you may want to scale back use to every other day or use a treatment in a lower strength. Benzoyl peroxide, like all treatments, takes time to work. You may need to wait eight to 10 weeks or more before seeing a noticeable improvement in your skin. In rare cases, severe redness and peeling, extreme burning, itching, swelling and/or rash occur. Should this happen, discontinue use at once and contact your dermatologist to find another treatment for your acne.